Help organizations improve, is what Nicolas decided to do after having started his career in IT as a self-taught programmer, and later as a project manager. From looking for bottlenecks to helping organizations adopt Continuous delivery, these are just some of the lessons Nicolas learned from his experience and applies today in his work as an agile coach. Nicolas also refers to the podcast This Agile Life, which we believe is a great addition to your podcast library if you like the Scrum Master Toolbox Podcast. Nicolas is 40 year old. He is a a French agile coach, specialized in Scrum and Kanban with a strong experiences in Digital and web projects. He likes Design thinking, storyboarding (especially paper prototypes), getting real feedback from real users, and helping the team to reach symbiosis, and to find meaning in what they do. He is absolutely passionate about agility, but aware that depending on the context (as a consultant), agility can be different from one company to another. 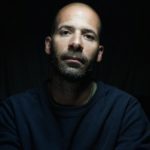 You can find Nicolas Umiatowski on twitter, and follow his blog in french: Nicolas Umiatowski in french. Why not share the results of the retrospectives with the rest of the organization? That’s one very effective way to make the current team’s obstacles visible to the rest of the organization. Start with something simple, like the Check-in from the Core protocols, and share what you find with the organization. Help the organization help the team using the retrospective output. 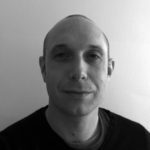 Andy has over 20 years of development experience in Smalltalk and Java, and is now a Scrum Master at Bright Interactive, based in Brighton on the south coast of the UK. He’s a former professional photographer and budding songwriter. You can find Andy Deighton on twitter. Connect with Andy Deighton in LinkedIn. Agile outside software work is one of the topics that Andy discusses in the context of defining the success of the Scrum Master. As Scrum Masters we work with everybody in the organization, not just the team. Helping others is an effective way to help the teams as well! Andy also shares his views on how we should NOT measure success of a Scrum Master. Andy discusses how hard it is to hire, and how we must constantly help Scrum Masters grow in their practice. Even if the Scrum Master is doing a good job (and also because of it), the teams will evolve. The style of the Scrum Master must then match that team evolution. Communication inside the team is a key indicator of whether they are performing or not. But the quality of communication in the team will also directly affect the communication with the stakeholders. Andy shares his insights into how to enable teams to improve the way they communicate, and work on the group dynamic. Andy starts by defining a great team: happy people building great software. A team that is focused on outcomes, rather than outputs. He explains how he learned to be a better Scrum Master through his experience, and what he changed in his own approach to the role of scrum master. What can you do, as a Scrum Master when the team is stuck in a pattern of negativity and self-destruction? Stephen explains the situation of a team that was in that situation, and what were the symptoms that characterized the problems the teams were facing. He discusses how communication suffers, how the us versus them dynamic emerged and how hard it was to help the team in that situation. We also discuss the techniques you can use to help the team get out of that pattern of self-destruction.